Tally.ERP9 provide complete business solution to their users. 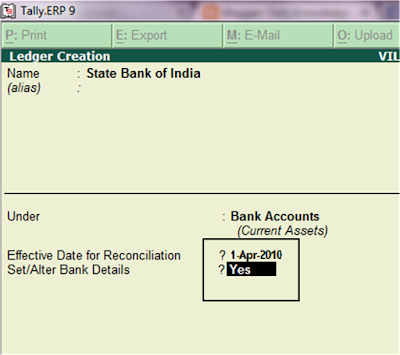 In this row, tally provide to create Cheque deposit slips, Cheque payment advice, cash deposit slips and maintaining cheque book series in Tally.ERP9. But the problem is how to completely configure bank for use all above features of Banking in Tally.ERP9. 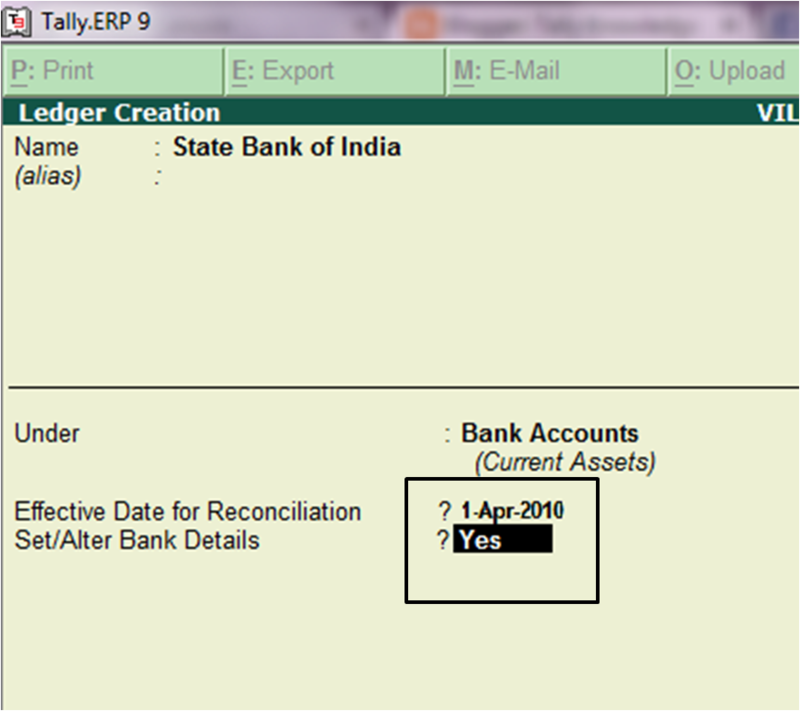 You need to select Yes in Set/Alter Bank Details. After select Yes Tally ask you to choose your Bank, select your desired Bank. 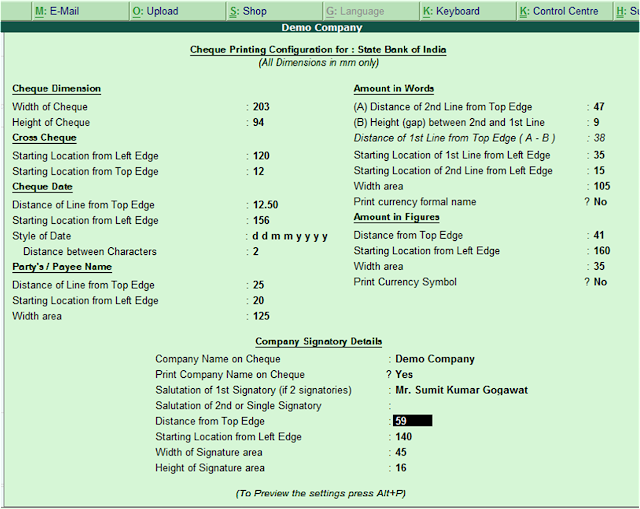 Enter Cheque Book Details, Now system show you some predefined format of Cheque Books, Select your Cheque book format. 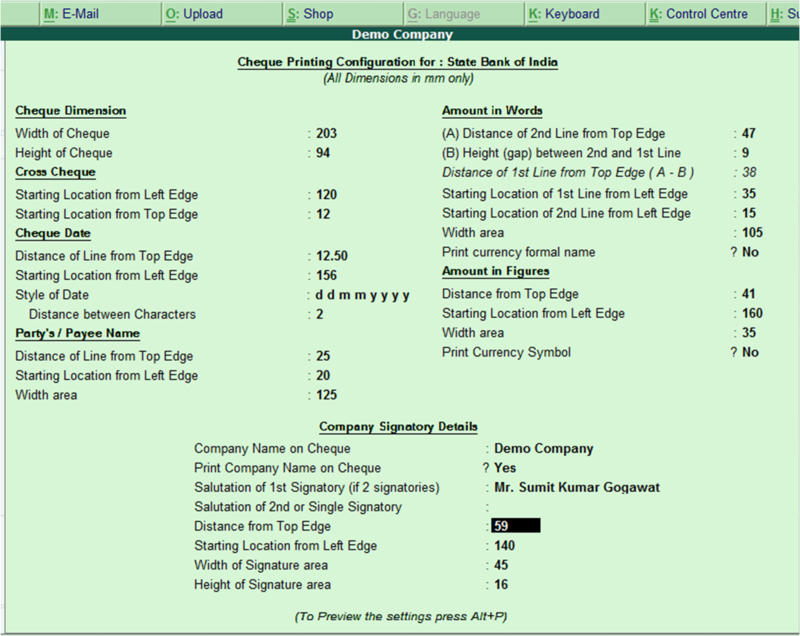 System show predefined printing configuration of selected Cheque format. Now enter Signatory Details and accept. 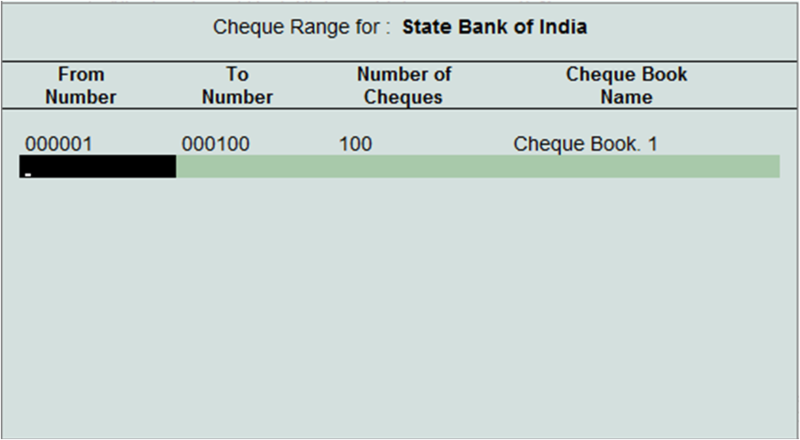 Create a payment voucher, debit to party and credit bank and system show cheque book no. (which was configure in creation of Bank Account Ledger, This procedure maintain your cheque book records, No need for manual cheque book leaf). On eacy entry Cheque no. will automatically change. Accept entry and its done.